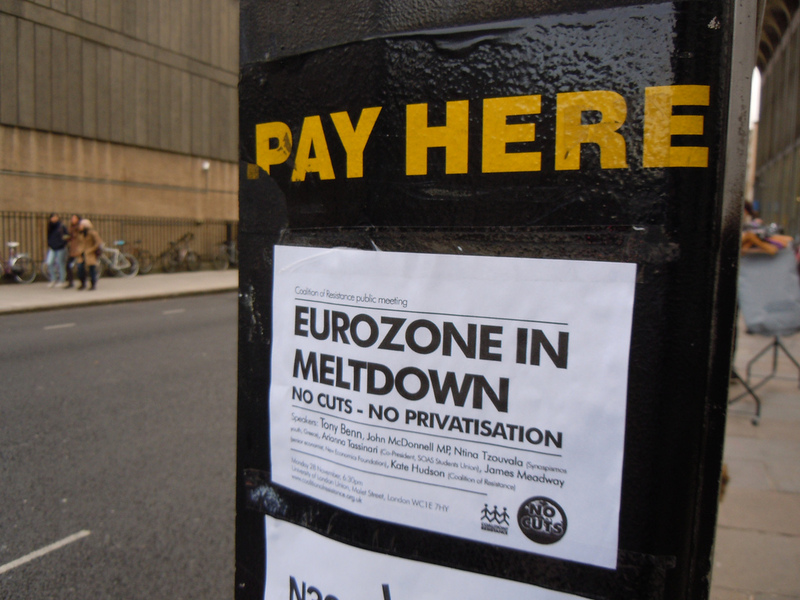 Understanding the Eurozone crisis: it’s all about taxes. The Eurozone is in trouble for only one reason and that is fiscal harmonization. I have been saying this for years but we unfortunately had to reach the point where democratic government is compromised before we take any action. I think that anyone in the corporate community would agree that Ireland’s 12.5% corporate tax zone was a fantastic lure for multinationals to set up shop there – but was it truly sustainable over the long term? What about the citizens of Ireland who now have to abruptly cope with double doses of austerity? This situation was predictable but there was no will until recently to deal with setting it straight. Moreover, compliance with economic policies emanating from Brussels has been erratic and without solid enforcement. For example, two years after the Stability and Growth Pact came into force, it was clear that some Member States would not stick to the criteria in the long term. France and Germany flagrantly violated it in 2005 and had the violations waived. Is the same thing going to happen with any new agreements that come out of the current crisis? Unless the sanctions can be applied without political interference, the big economies will continue to decide on their own if they need to comply. Is this why Great Britain is reluctant to sign on full force (domestic political concerns aside)? Are “those in power” the elected leaders of government or has Europe’s shortsightedness transferred real power to private holders of public debt? Now is the time to reach some rough consensus throughout the EU on harmonizing corporate taxes based on factual qualitative and quantitative measures. An excellent overview of the sovereign debt crisis is available (pdf, registration required) from Groupama Asset Management. Ready for Cookie Sweep Day? Not so Safe Harbor: EU-US data protection cooperation on the rocks. Next step for Samsung after losing v. Apple? Take it to D.C.
What you don’t know about EU DATA PRIVACY law and why you need to know it today. Collateral bribery damages: NYC now 3rd fund to file suit v. Wal-Mart. Donald Trump on bribery scandals: US “crazy” to enforce FCPA. NGO on FCPA reform: fines should compensate victims. empir.is uses anonymous cookies to see where users are located and to place ads. Please visit our page for more information about cookies and how we use them.